We call it a modesty drape, but it has many functions. 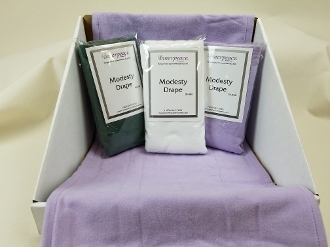 With two layers of our signature 100% Cotton Flannel and measuring 18" x 36" this drape can be used for many different treatments. Whether its neck stretching, modesty covering, hair wraps, or evn table dressing. 100% Made in USA.